The sea lion grabs the girl by her white dress and drags her into the water. Onlookers can be heard screaming in horror. A man immediately gets into the water to save the girl. A sea lion in Vancouver grabbed a girl and dragged her into the water. She was rescued immediately. The first part of a now-viral video shows a sea lion swimming near a dock in Steveston, a seaside community on Canada's western coast. The sound of cameras clicking can be heard in the background as onlookers marveled at its size. 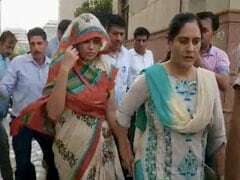 Neither the girl nor the man was injured. She can be seen immediately leaving after the incident at Steveston Fisherman's Wharf near Vancouver, B.C. "They were pretty shaken up," Fujiwara told CBC News. "Her family was just in shock." Fujiwara said he goes to the dock regularly but has never seen anything like what he captured in the video. It's unclear whether Fujiwara and the man who jumped into the water know the girl. Fujiwara did not respond Sunday to a request for comment. Andrew Tites, director of the University of British Columbia's Marine Mammal Research Unit, criticized those who got close to the animal, which he said is a California sea lion. "My first reaction to the video is just how stupid some people can be to not treat wildlife with proper respect," he told CBC News, adding later: "They are not circus performers. They're not trained to be next to people." 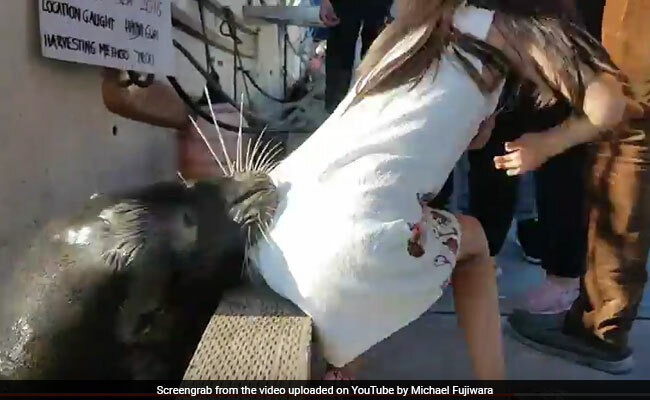 Tites said it's likely that the sea lion thought the girl's dress was food. Such animals, he added, are not naturally dangerous. An adult California sea lion is about the same size as a 6-foot man and weighs about 610 to 860 pounds.Though the "cliched circus seal" that balances a ball on its nose and jumps through hoops is typically a California sea lion, such animals once in the wild are sleek and faster than any other sea lion, according to a National Geographic article. They live along North America's western coast. Males migrate north during the winter season and return to the California and Mexican coastlines during the summer to breed.